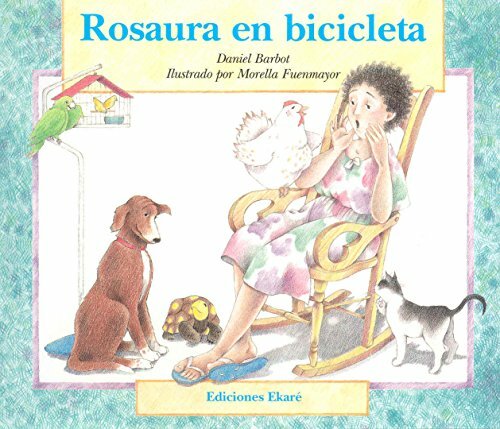 Rosaura En Bicicleta / Rosaura on a Bicycle (Ponte Poronte) (Spanish Edition) by Daniel Barbot: Ediciones Ekare 9789802570553 Paperback - DIANE Publishing Co.
A woman has difficulty finding a bicycle for her pet hen Rosaura. DIANE Publishing has been in business since 1987. Our specialty is U.S. Government publications and remainder books. We have over 17,000 U.S. Government reports and documents dating back to the mid-1980's. These reports are always in-print and available; about 20% are from military, intelligence and security agencies. In addition, we have over 7,000 remainder books in various quantities. These are in perfect condition, but may have a remainder mark on the page edges. We add about 100 new government reports each month, and about the same number of remainder books. we attempt to send all such orders via U.S. Postal Service Global Priority. are reprints of the actual report and are bound with a very strong tape binding. Orders usually ship within 2 business days. Shipping costs are based on books weighing 2.2 LB, or 1 KG. If your book order is heavy or oversized, we may contact you to let you know that an extra shipping charge is required.